So I started the Global Game Jam not feeling that well on Friday evening, once I reached Friday afternoon I was too sick to be of any use to my team so I headed home to rest. Today I still feel ill, just dozing. My team still want to finish off the game, called “SandWatch”. 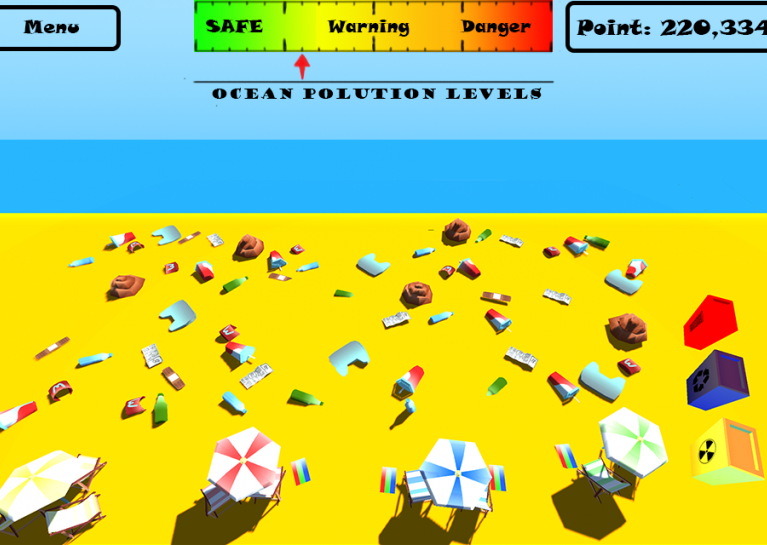 The gam jam theme this year is waves, so our game has a beach that tourists visit, leaving rubbish behind. You then control the beach cleaner who has to collect and sort the rubbish before the tide comes in and washes it away. If rubbish gets washed away it contaminates the sea, and if the sea becomes too polluted tourists stop showing up and the game ends. This is to be a mobile game for Android devices, and we should get it finished up in February. We have a GGJ17 page as well, just with no uploaded game.